Proto is Section 9's only (prototype) bioroid member and was also the Tachikoma's maintenance technician (before becoming one of the new recruits). During the Dejima crisis Proto played a key role in helping Aramaki rescue the Prime Minister Yoko Kayabuki, who had been relieved of her duty and arrested under charges of treason. Proto managed to gain access to the net, where he communicated with Section 9's Tachikoma units. Through them Proto was able to gain building blueprints and up-to-date information on Section 9's Dejima operation, as well as the location of the Prime Minister, before an attack barrier disabled him. 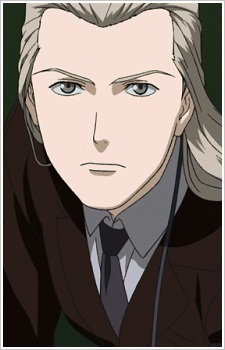 Proto appears again in the Ghost in the Shell: S.A.C. Solid State Society movie, where he stays close with Aramaki, working on secretarial duties.